The 2018 Global Legal Skills Conference in Melbourne, Australia will include award presentations to individuals, institutions, law schools, law firms, publishers, and other organizations that have advanced global legal skills education around the world. The awards continue the award presentations made in Costa Rica, Italy, Mexico, and the United States. A full list of prior recipients is available at https://glsc.jmls.edu/2018/gls-awards/. There is no particular nomination form – a simple email is enough to nominate a person or an institution for a GLS Award. The awards will be presented at Melbourne Law School during the GLS-13 conference, which takes place from December 9-12, 2018. Winners need not be present, but it's always nicer for everyone if they are there. Individual Winners; This category recognizes individuals around the world who have made significant contributions to the promotion and improvement of global legal skills. Scholarship and Book Awards: This category recognizes exceptional books and articles that advance the teaching of global legal skills, including new casebooks and texts for lawyers and law students. 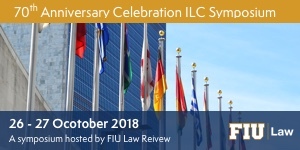 Law Firms and Other Institutional Winners: This category recognizes companies, professional associations, law firms, and other organizations around the world that give special support for global legal skills. The names of persons accepting these law firm and institutional awards are in parentheses. Law School Winners: This category recognizes law schools around the world that give special attention to and support for global legal skills. Please send your nominations for one or more of the categories to global.legal.skills.awards@gmail.com by November 15, 2018. Include a paragraph about why the person, institution, law firm, law school, publisher, or other organization is worthy of an award. We will contact you if we need additional information. Nominations not selected in a particular year will be carried forward to the following year.